Life, especially post-separation / divorce can certainly be challenging and affording a decent holiday can seem impossible. Taking a caravan holiday can be a great way for you and your family to spend some time together away from home. 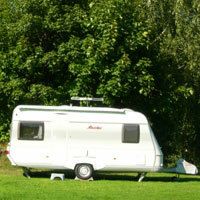 If you're used to jetting off for your summer holidays, you may never have seriously considered a caravanning holiday. However, if you have just been through a costly divorce and money is tight, right now you may consider that any break will be a welcome one. Modern caravans have every luxury you have at home: fitted kitchens showers, flushing toilets, and air conditioning; there is no need to feel that caravanning is not a fun holiday choice. Whether you buy a towing caravan or static one on a holiday holiday park is completely up to you and your family. Before investing your money in a caravan, why not rent one to tour the UK? Reserve spaces en route before you leave home, there are lots of guides available on caravanning / where to stay / joining a club etc. Have a look around to see what facilities are on offer. Decent caravan sites have supermarkets, clubs, laundry and shower blocks and often restaurants. Some sites are better able to cope with families with young children than others, so investigate carefully. The money you will save on future holidays will make the investment of buying your own caravan worthwhile. For those of you wil children still in school, it can be a great way of getting away for long weekends or an extra week here and there, during school holidays. You can even take the family pet with you, so no expensive boarding fees to think about. You have the option of cooking in your own space, since modern caravans come will well-equipped and laid out kitchens. On the other hand, cooking on holiday doesn't hold much appeal for many, so drive out to a restaurant for a more relaxed meal, or use the facilities of a holday park. You have total freedom to choose. The great thing about a towing caravan is that you're not restricted to the UK. Europe is a short hop on a ferry; it's a great way to see the continent. Plan carefully to be sure you are aware of all the information you need; driving restrictions may vary country to country. Take a good map and guide book with you! For the more intrepid travellers amongst you, consider flying further afield? You can fly to America, Canada or even Australia and hire a caravan or motor home and explore new horizons at your leisure? Many of the American motor homes are really large and, by taking a few friends along, you can share the rental costs and also the driving. Whatever you decide, remember that caravanning can be a fun way to explore the great outdoors, without the discomfort and inconvenience that camping often brings. It can be a real adventure for children.